FSM Board: David Ogden Stiers, R.I.P. Non-Film Score Discussion: David Ogden Stiers, R.I.P. I remember him more for his recurring role in TWO GUYS, A GIRL AND A PIZZA PLACE than M.A.S.H. (due to my age), but I've obviously seen him in many films over the years, as well as voice work in animated films. He was also the "go to guy" when people discussed who should be playing John Williams in a biopic. Apart from M*A*S*H, a couple of my favorite things from him was his bit on ST: TNG (a really lovely performance) and his voice in "Lilo & Stitch". He had that dignified Shakespearean persona which was always very charming. Kinda young. RIP. I also fondly recall DOS' gravitas-laced performance in the Anthony Michael Hall series, THE DEAD ZONE. I loved him in MASH. Loved his voice in animated features. Sad news. I loved him in MASH. too right joan. He had a tough act to follow there and made it his own. Very sad indeed. MASH is still watched regularly in our house and we love the character of Winchester, so eloquently played by this wonderful actor. M*A*S*H and MAGIC is what I remember of Mr. Stiers. He had a comedic stuffiness, but with a deep buried good heart, in his characters and reminded me of the style and delivery of Victor Buono in a way. Ouch. Two Winchester moments stand out and they have everything to do with music: The one when he convinces the wounded soldier to play the Ravel. And before that the look on his face when he learns that the soldier was a pianist. Let's just say Mr. Stiers was brilliant. The second is near the end of the big final ep when he discovers the face of the dead casualty. "Oh God, no...He wasn't even a soldier." His glare while suppressing unspeakable grief. Understated but devastating. He puts on the Mozart record and a few seconds later slams it and shatters it into pieces. Again, all brilliant. Precisely my sentiments—great words @Howard L. I had the pleasure of watching David Odgen Stiers work twice: Once on the location set of M*A*S*H, the other on the location set of Creator at UCI. Always brilliant. I have always said that the best season of MASH was DOS first season on the show. Rest in peace. Like many others, I remember him most as Major Winchester. I also enjoyed his performance in Star Trek: The Next Generation, and many others. His role as the mayor in Doc Hollywood always stood out for me, as it was the first performance I had seen after MASH was over, and his character was world's apart from Major Winchester. Ogden Stiers and his former MASH co-star, Alan Alda, have an ever-so-brief scene together in Everyone Says I Love You (1996). I always appreciated the gesture of Allen giving them that scene. David Ogden Stiers made use of his voice in his very first film role, as an off-screen announcer in the dystopian future world of George Lucas' THX 1138. Lalo Schifri's score for the 1971 film was released by Film Score Monthly in 2003. Appearing under the name "David Stiers," David Ogden Stiers made his first on-screen appearance in a small roll as an owner of a professional basketball team in the 1971 film DRIVE, HE SAID. The film marked the directorial debut of Jack Nicholson. David Shire's score for the film has not had a release. Ogden Stiers had a co-starring role, as "Mr. McCarthy," in the 1977 comedy OH, GOD!. Carl Reiner directed the film, which had an unreleased score by Jack Elliott. David Ogden Stiers played Dr. Charles Mayo, one of the founders of the Mayo Clinic, in the 1978 television film A LOVE AFFAIR: THE ELEANOR AND LOU GEHRIG STORY. 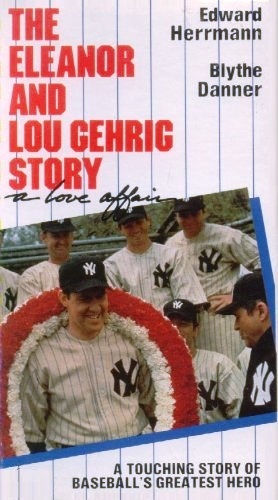 The film was a sentimental retelling of the love story of baseball immortal Lou Gehrig (Edward Herrmann) and his wife (Blythe Danner), told from her point of view. Originally, the film was to have premiered in October 1977, but ironically it was preempted by the World Series. Instead it had its initial airing on NBC on 15 January 1978, opposite the Super Bowl! Fielder Cook directed the film, which has an unreleased score by Eddie Lawrence Manson. In 1978, David Ogden Stiers played a police captain in Neil Simon's all-star mystery spoof THE CHEAP DETECTIVE. Robert Moore directed the film. Patrick Williams had the main theme from his score re-recorded by Henry Mancini for a 1978 LP. 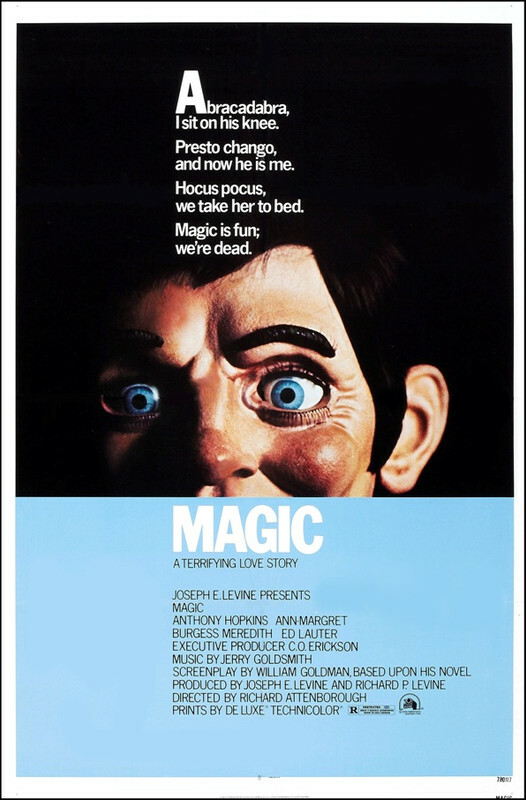 In the 1978 horror thriller MAGIC, David Ogden Stiers played television executive "George Todson" who is introduced to ventriloquist "Corky Withers" (Anthony Hopkins) by his agent "Ben Greene" (Burgess Meredith). Richard Attenborough directed the film. Jerry Goldsmith's score was released by Varese Sarabande in 2003 and slightly expanded by La-La Land for a 2015 re-issue.